One hundred and fifty years ago, on March 30, 1867, U.S. Secretary of State William H. Seward and Russian envoy Baron Edouard de Stoeckl signed the Treaty of Cession. 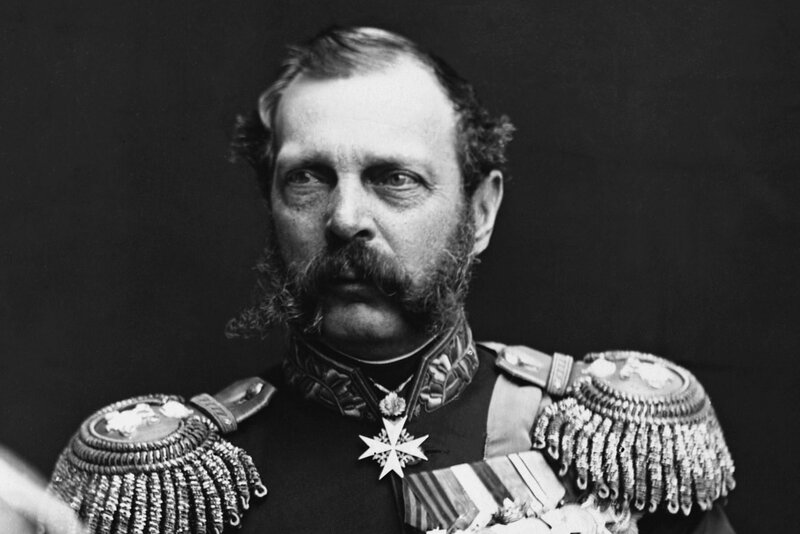 With a stroke of a pen, Tsar Alexander II had ceded Alaska, his country’s last remaining foothold in North America, to the United States for US$7.2 million. Today Alaska is one of the richest U.S. states thanks to its abundance of natural resources, such as petroleum, gold and fish, as well as its vast expanse of pristine wilderness and strategic location as a window on Russia and gateway to the Arctic. So what prompted Russia to withdraw from its American beachhead? And how did it come to possess it in the first place? As a descendant of Inupiaq Eskimos, I have been living and studying this history all my life. In a way, there are two histories of how Alaska came to be American – and two perspectives. One concerns how the Russians took “possession” of Alaska and eventually ceded it to the U.S. The other is from the perspective of my people, who have lived in Alaska for thousands of years, and for whom the anniversary of the cession brings mixed emotions, including immense loss but also optimism. The lust for new lands that brought Russia to Alaska and eventually California began in the 16th century, when the country was a fraction of its current size. That began to change in 1581, when Russia overran a Siberian territory known as the Khanate of Sibir, which was controlled by a grandson of Genghis Khan. This key victory opened up Siberia, and within 60 years the Russians were at the Pacific. The Russian advance across Siberia was fueled in part by the lucrative fur trade, a desire to expand the Russian Orthodox Christian faith to the “heathen” populations in the east and the addition of new taxpayers and resources to the empire. In the early 18th century, Peter the Great – who created Russia’s first Navy – wanted to know how far the Asian landmass extended to the east. The Siberian city of Okhotsk became the staging point for two explorations he ordered. 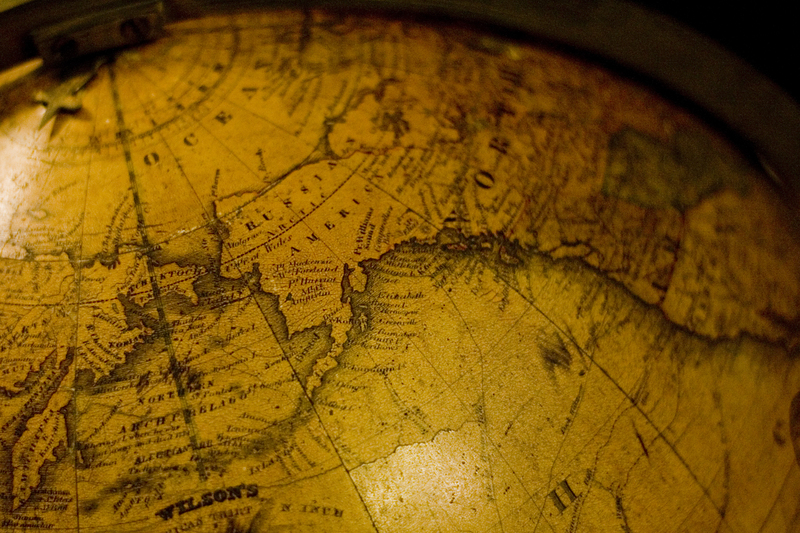 And in 1741, Vitus Bering successfully crossed the strait that bears his name and sighted Mt. Saint Elias, near what is now the village of Yakutat, Alaska. Although Bering’s second Kamchatka Expedition brought disaster for him personally when adverse weather on the return journey led to a shipwreck on one of the westernmost Aleutian Islands and his eventual death from scurvy in December 1741, it was an incredible success for Russia. The surviving crew fixed the ship, stocked it full of hundreds of the sea otters, foxes and fur seals that were abundant there and returned to Siberia, impressing Russian fur hunters with their valuable cargo. This prompted something akin to the Klondike gold rush 150 years later. But maintaining these settlements wasn’t easy. Russians in Alaska – who numbered no more than 800 at their peak – faced the reality of being half a globe away from St. Petersburg, then the capital of the empire, making communications a key problem. Also, Alaska was too far north to allow for significant agriculture and therefore unfavorable as a place to send large numbers of settlers. So they began exploring lands farther south, at first looking only for people to trade with so they could import the foods that wouldn’t grow in Alaska’s harsh climate. They sent ships to what is now California, established trade relations with the Spaniards there and eventually set up their own settlement at Fort Ross in 1812. Thirty years later, however, the entity set up to handle Russia’s American explorations failed and sold what remained. Not long after, the Russians began to seriously question whether they could continue their Alaskan colony as well. For starters, the colony was no longer profitable after the sea otter population was decimated. Then there was the fact that Alaska was difficult to defend and Russia was short on cash due to the costs of the war in Crimea. So clearly the Russians were ready to sell, but what motivated the Americans to want to buy? Almost 20 years after expressing his thoughts about expansion into the Arctic, Seward accomplished his goal. So a deal with incalculable geopolitical consequences was struck, and the Americans seemed to get quite a bargain for their $7.2 million. Just in terms of wealth, the U.S. gained about 370 million acres of mostly pristine wilderness – almost a third the size of the European Union – including 220 million acres of what are now federal parks and wildlife refuges. Hundreds of billions of dollars in whale oil, fur, copper, gold, timber, fish, platinum, zinc, lead and petroleum have been produced in Alaska over the years – allowing the state to do without a sales or income tax and give every resident an annual stipend. Alaska still likely has billions of barrels of oil reserves. The state is also a key part of the United States defense system, with military bases located in Anchorage and Fairbanks, and it is the country’s only connection to the Arctic, which ensures it has a seat at the table as melting glaciers allow the exploration of the region’s significant resources. But there’s an alternate version of this history. When Bering finally located Alaska in 1741, Alaska was home to about 100,000 people, including Inuit, Athabascan, Yupik, Unangan and Tlingit. There were 17,000 alone on the Aleutian Islands. Despite the relatively small number of Russians who at any one time lived at one of their settlements – mostly on the Aleutians Islands, Kodiak, Kenai Peninsula and Sitka – they ruled over the native populations in their areas with an iron hand, taking children of the leaders as hostages, destroying kayaks and other hunting equipment to control the men and showing extreme force when necessary. The Russians brought with them weaponry such as firearms, swords, cannons and gunpowder, which helped them secure a foothold in Alaska along the southern coast. They used firepower, spies and secured forts to maintain security, and selected Christianized local leaders to carry out their wishes. However, they also met resistance, such as from the Tlingits, who were capable warriors, ensuring their hold on territory was tenuous. By the time of the cession, only 50,000 indigenous people were estimated to be left, as well as 483 Russians and 1,421 Creoles (descendants of Russian men and indigenous women). On the Aleutian Islands alone, the Russians enslaved or killed thousands of Aleuts. Their population plummeted to 1,500 in the first 50 years of Russian occupation due to a combination of warfare, disease and enslavement. When the Americans took over, the United States was still engaged in its Indian Wars, so they looked at Alaska and its indigenous inhabitants as potential adversaries. Alaska was made a military district by Gen. Ulysses S. Grant with Gen. Jefferson C. Davis selected as the new commander. For their part, Alaska Natives claimed that they still had title to the territory as its original inhabitants and having not lost the land in war or ceded it to any country – including the U.S., which technically didn’t buy it from the Russians but bought the right to negotiate with the indigenous populations. Still, Natives were denied U.S. citizenship until 1924, when the Indian Citizenship Act was passed. During that time, Alaska Natives had no rights as citizens and could not vote, own property or file for mining claims. The Bureau of Indian Affairs, in conjunction with missionary societies, in the 1860s began a campaign to eradicate indigenous languages, religion, art, music, dance, ceremonies and lifestyles. It was only in 1936 that the Indian Reorganization Act authorized tribal governments to form, and only nine years later overt discrimination was outlawed by Alaska’s Anti-Discrimination Act of 1945. The law banned signs such as “No Natives Need Apply” and “No Dogs or Natives Allowed,” which were common at the time. Eventually, however, the situation improved markedly for Natives. Alaska finally became a state in 1959, when President Dwight D. Eisenhower signed the Alaska Statehood Act, allotting it 104 million acres of the territory. And in an unprecedented nod to the rights of Alaska’s indigenous populations, the act contained a clause emphasizing that citizens of the new state were declining any right to land subject to Native title – which by itself was a very thorny topic because they claimed the entire territory. A result of this clause was that in 1971 President Richard Nixon ceded 44 million acres of federal land, along with $1 billion, to Alaska’s native populations, which numbered around 75,000 at the time. That came after a Land Claims Task Force that I chaired gave the state ideas about how to resolve the issue. Today Alaska has a population of 740,000, of which 120,000 are Natives. 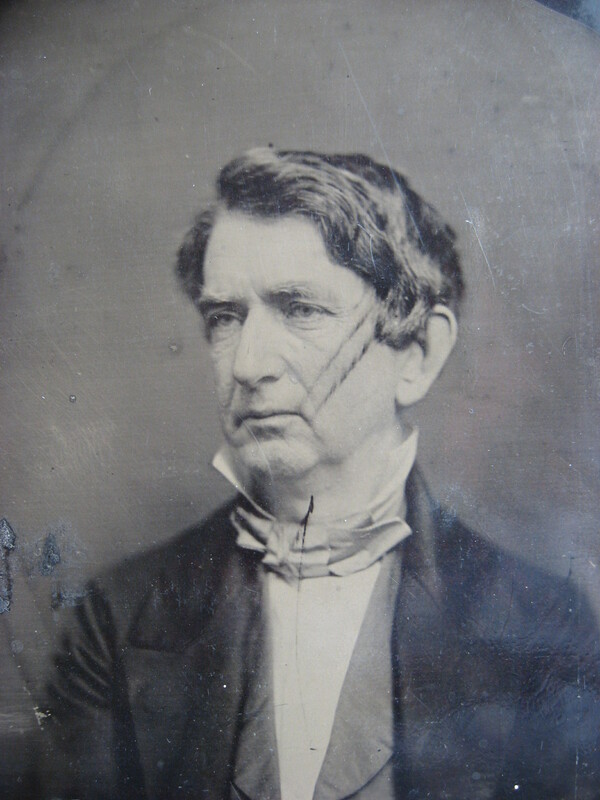 As the United States celebrates the signing of the Treaty of Cession, we all – Alaskans, Natives and Americans of the lower 48 – should salute Secretary of State William H. Seward, the man who eventually brought democracy and the rule of law to Alaska.